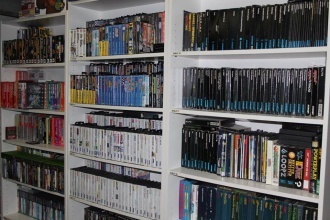 We have over 10,000 video games in our archive! As you'll appreciate, it takes a huge amount of time to photograph and archive them which leaves us little time to be able to write up detail for each game. That's where you could help! We need volunteers to help us write unbiased factual reviews of each game. What type of game it is, what platform it was for, when it was released, author, publisher, media reception and anything else that a visitor to our website might need to know. If you're able to run emulators, capture and upload screen shots for each game this would be a great help too. Your write-ups must be completely impartial, based on verifiable facts and not on any personal preferences. Our website receives thousands of views every day, and is trusted by researchers around the world. There is no minimum or maximum length for each write-up. Just a couple of sentences may be appropriate for some, whilst a few paragraphs for others. We only review the games we physically have in our archive. The review must be entirely your own work and not copy and pasted from other websites. We have an online admin system so this work can be done online from anywhere with an internet connection. With your work represented online immediately, the role is very rewarding. This role does require that you have some knowledge of retro video games. Much can be researched online, but a personal knowledge would be a huge advantage. You must be able to write accurately, have good spelling and punctuation, and represent each game fairly. If you can spot grammatical errors on this page, then you're the person for us! We will ask for an example review for a game of your choice to ensure that it meets our standards. Our amazing team of volunteers have already catalogued over 38,000 items, which are all available to view on this website. We are a relaxed and welcoming team. The working atmosphere is fun, relaxed but professional. Tea and coffee is available for free from our 'Pac Lunch Shop' and as a volunteer you are welcome to all of our special events for free. You can do this role from anywhere as long as you have an internet connection. Obviously you are welcome to come to the museum and work from there too if you're looking to be around other like minded retro gamers! As an online role, you can do this anytime. If you'd like to work from the museum, we are open from Wednesday to Sunday, 10am to 5pm, every week throughout the year. We also often meet up on a Thursday evening on a casual basis to get things done and maybe get some pizza in! As with all of our volunteer roles, if you are interested in volunteering your time and playing a vital part in our museum, email us with the name of the role you are applying for in the subject line. Please send us your CV or details about yourself along with an example write-up for a game of your choice.